When it comes to buying a boiler, one of the decisions you have to make is which type of boiler you want. One of these types is a conventional boiler, the most traditional form of heating. To learn if a conventional boiler is right for you, read on about its prices, unique characteristics, and advantages here. How much would a conventional boiler cost? When buying a conventional boiler, just like with other types, there are several brands and models available. Each has different features that are built into the unit, as well as varying output capacities. Although it is important to take a careful look at what features you want with your boiler, you should also get a clear idea of the prices. This way, you’ll be well-informed, setting yourself up to make the best decision for your conventional boiler. The costs for a conventional boiler are quite high since it is a major part of your central heating. 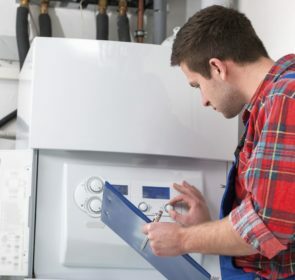 Fortunately, you will to keep these costs down by sourcing your boiler from the right installer. Complete our form with your details to reach out to 5 heating companies in your area. They’ll get back to you with their price offers, after which you are in the best position to inquire about different models or requests. This form takes only 1 minute and could save you 40% off your conventional boiler. 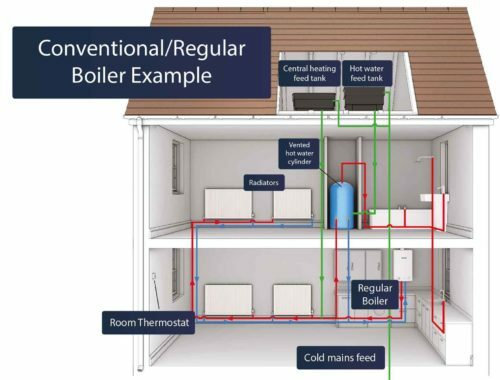 So how do conventional boilers work? 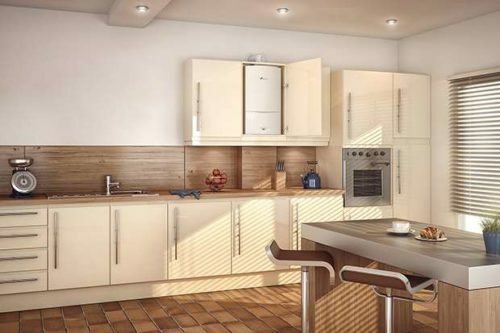 Conventional boilers are the most traditional form of heating in the UK. Although they are still in use today, their popularity has fallen recently in favour of combi boilers. Despite this, a conventional boiler could still serve your heating needs effectively. A conventional boiler is also sometimes called a regular boiler or heat only boiler. This type of boiler uses hot and cold water storage tanks, usually installed in your home’s loft. The boiler unit is plugged into your mains, which supplies the water to be used in your home. The boiler fires up by igniting its fuel, usually gas or oil. The heat exchanger warms up the water. A pump transports the water to the hot water storage tank for use throughout the day. When you set your thermostat, the hot water moves to through your radiators, emitting its heat energy to warm up the room. The hot water is also directed to water outlets in your bathroom and kitchen when you turn on a tap. Another crucial component of a heating system employing a heat only boiler is the expansion vessel. This vessel controls the expansion of water as it is heated. This prevents your pumps and pipes from bursting, keeping pressure relatively constant throughout the system. There is also a feed and expansion tank, located in your loft, which is filled with water. It keeps your heating system’s water levels relatively constant. It also provides an extra space for hot water to go, if the system heats up too much water. Is a conventional boiler a good choice? 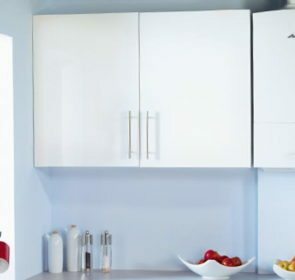 To determine whether you should choose a regular boiler to keep your house warm, it’s useful to understand the pros and cons of this type. A conventional boiler is extremely effective in providing the hot water your home needs. Depending on the size you choose, this boiler type is capable of heating up large amounts of water to cover your space heating and hot water demand. With conventional types, you are able to get hot water from multiple taps at the same time. You don’t have to worry about water flow dwindling as more taps are used. This is in comparison to combi boilers, where multiple water outlet use means a diminished water flow. As such, conventional boilers are more suitable for homes with relatively low water pressure or 2 or more bathrooms. 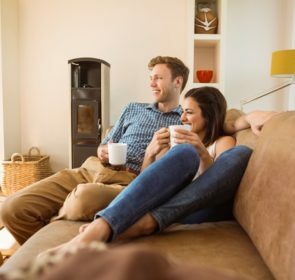 For older homes that are more likely to already have a traditional heating system, it is much easier to just replace with a conventional boiler. An installation of a heat only boiler is much easier in older properties rather than switching to a new kind of system. With the hot and cold water tanks, a conventional boiler takes up a lot of room, particularly in your loft. This type is not suitable for homes with limited space. With these components, installation of a new conventional boiler system takes time, money, and effort. The hot water cylinder needs proper insulation in order to keep the water hot enough for use in heating. This could increase your costs further during installation. Also, a conventional boiler does not heat water on demand. It takes time for the unit to heat up water. This could be problematic if you run out of water during the day. The storage tank only holds a finite amount of hot water, so if your hot water demand exceeds what is stored in the tank, you’ll have to wait before you can enjoy warm air and water again. Don’t make the mistake of quickly choosing the first boiler from the first heating engineer you find. Instead, take some time to examine your options—obtain information on multiple heating companies and their prices at once using our easy form. It is free and non-binding, meaning you can make your decision at your own pace. 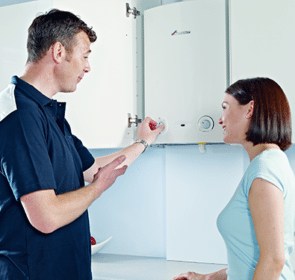 With multiple heating quotes on your conventional boiler, you are able to lower your supply and installation costs significantly.